Each year around this time, we release a few sets of holiday effects for Pixlr fanatics. 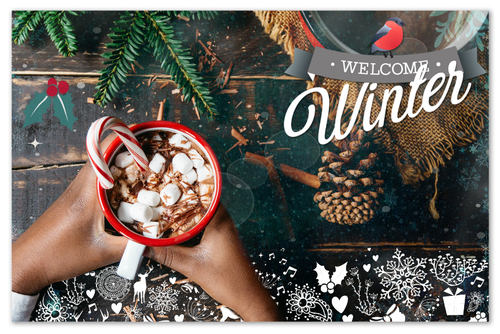 This time around, we’ve got a collection of borders, overlays, and stickers that will bring out the winter in your photos. We’re also bringing back some old favorites, so check out Icebaby borders, Frostlicious overlays, and Snowkiss stickers — and of course some 2017 New Year’s stickers to ring in the new year. As always, the Eraser is helpful if you’re interested in adding multiple layers of effects for an extra-rich look. Add a layer, paint out your subject, as we did to remove the border from the hands in the photo above.